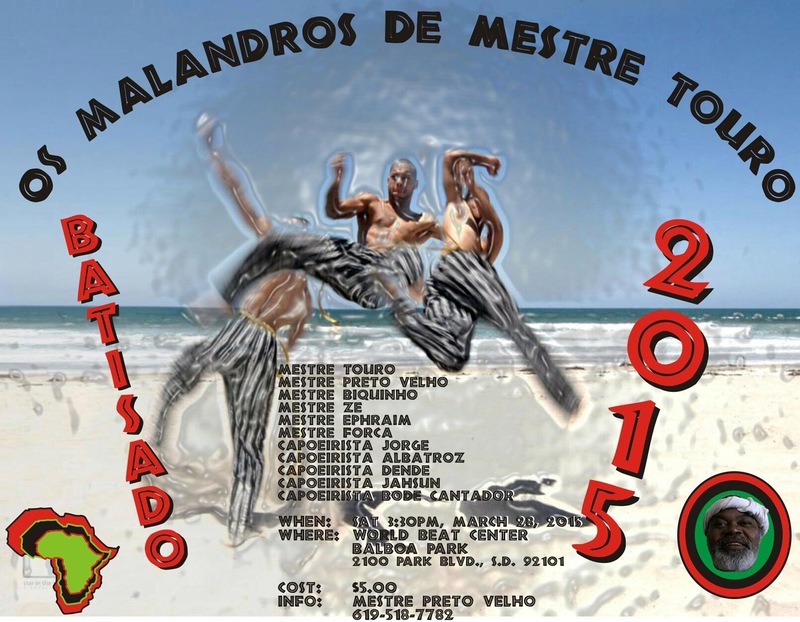 My capoeira group (Os Malandros de Mestre Touro) will be hosting their annual Batisado (Bah-chi-sado) event at the World Beat Center in San Diego, Ca., this Saturday! Batisado is an initiation ceremony, where we welcome new capoeristas into the fold of Capoeira and graduate recent ones by their mark in skill and wit. I was honored to be a part of this ceremony, 3 years ago, where I earned the respect and recognition from the masters and capoeiristas of Os Malandros de Mestre Touro. Grand Master and Legend Mestre Touro (straight out of Brazil), the founder of Os Malandros de Mestre Touro. Legend has it that he defeated 15 policemen in the art of Capoiera while drunk. The event will start at 3:30 pm and the admission fee is only $5.00. To RSVP for this event call my Capoeira Master Mestre Preto Velho (May-stre Preh-to Vay-o) at 619-518-7782. I encourage you all to come to this event, if you are in San Diego, and help celebrate black culture and keep this positive art alive in the community! 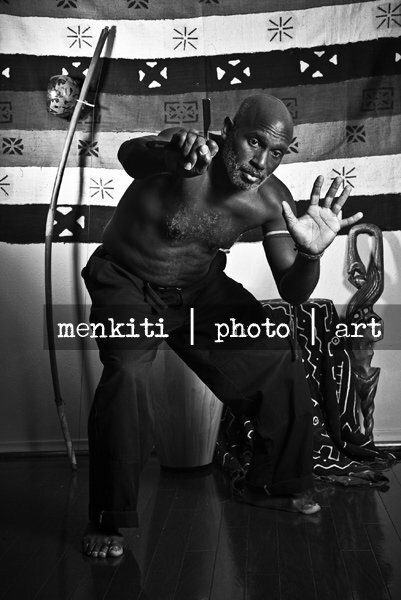 To learn more about Capoeira and my Master Mestre Preto Velho, click on the links below.